March 30, 2019 - We're delighted to announce the publication of Sindhu Rajasekaran's new collection of short stories, So I Let It Be. The collection begins with Sacred Cow, which first appeared in ALR No. 22, Winter 2011. In So I Let It Be, Rajasekaran explores the themes of love, loss of individuality, madness, and an overwhelmingly poignant and profound sense of saudade. Where do you go to find yourself if everything you are is a product of something else? These stories may provide something of an answer. 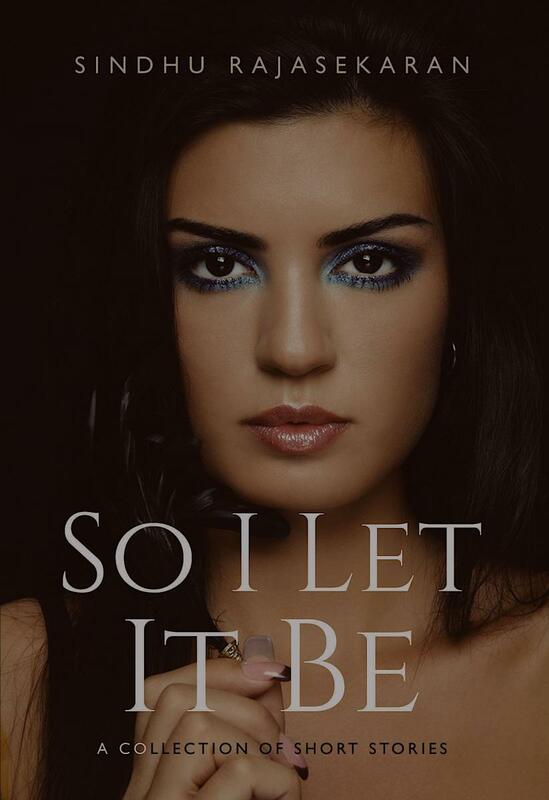 So I Let It Be is published by Pegasus Press. Click on the title or the cover thumbnail to buy the book from Pegasus or Amazon. 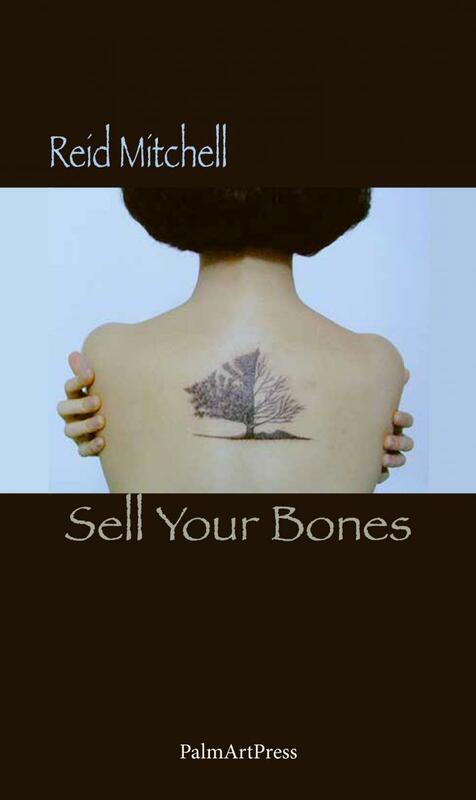 March 15, 2019 - Reid Mitchell's compelling first collection of poems, Sell Your Bones, is now available from PalmArt Press, on Amazon US, Amazon UK and elsewhere. Reid's deep absorption of Chinese poetry and wry engagement with Chinese culture are reflections of his experiences as an outsider in China and as a teacher at universities in Qingdao, Jiangsu, Beijing and Hong Kong. 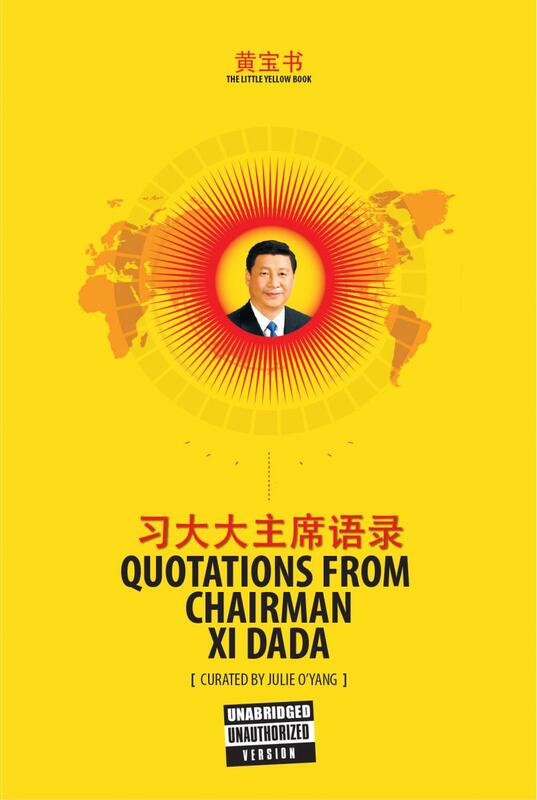 February 5, 2019 - The Little Yellow Book, Quotations from Chairman Xi Dada, is released today to coincide with Chinese New Year by Julie O'yang and Eloy. Distilling Xi Jinping's many thousands of pronouncements into 180 succinct and immediately accessible pages, the authors have curated a mischievous collection of 300 quotations by China's powerful ruler. Party scholars are working to compile the official account of their leader's philosophy of 'Xi Jinping Thought on Socialism With Chinese Characteristics for a New Era' - but in the meantime, The Little Yellow Book may provide an insightful, entertaining and perhaps subversive counterpoint. Whether or not Xi Dada will approve is another matter. January 26, 2019 - The Whole Kahani Writers' Collective launches its new anthology of short stories and poems, May We Borrow Your Country, at Waterstones in Gower Street, London. 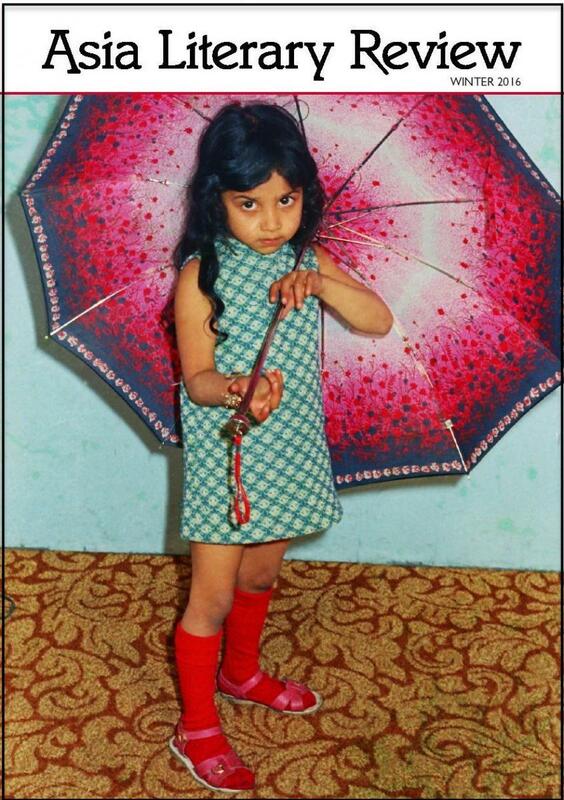 Enjoy Kavita Jindal's tongue-in-cheek but illuminating post about the title of the book here. If you'll be in London on 26 January, you can book a seat for the event, which starts at 6:30. And whether or not you can join TWK for the evening, you can order a copy from Linen Press or Waterstones right now. 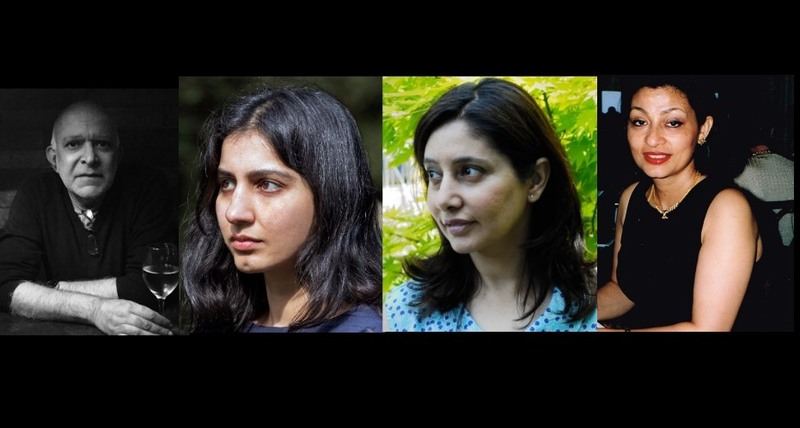 TWK members previously published in the ALR: Dimmi Khan, Kavita A. Jindal, Mona Dash, Catherine Menon. November 28, 2018 - Asia Literary Review Senior Editor Kavita Jindal wins the 2018 Brighthorse Novel Prize for the manuscript of her debut novel, Manual For A Decent Life, to be published first in the United States, in March 2019. November 2018 - Anuradha Roy's novel All the Lives We Never Lived wins the 2018 Tata Literature Live! Fiction Book of the Year Award. We feature an interview with Anuradha Roy in conversation with the ALR's Anurima Roy (no relation...) in the Asia Literary Review's Issue 35 (December 2018). In the image: Anuradha Roy receives the Tata Literature Live! Fiction Book Of the Year Award for her book All The Lives We Never Lived from the fiction jury members Soumya Bhattacharya, author and managing editor, Hindustan Times and Georgina Brown, theatre critic and journalist. 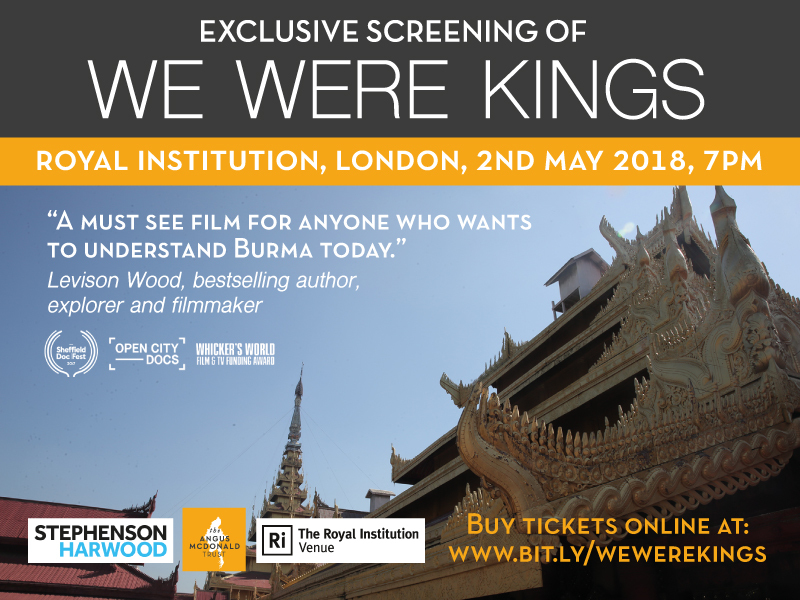 May 2, 2018 - An exclusive screening of We Were Kings at the Royal Institution, 2 May 2018 at 7pm. Winner of the inaugural Whicker's World Foundation documentary award, this hour-long film is a rediscovery of Burma's 'lost' royal family - deposed and exiled by Britain in the late 19th Century. The living descendants of King Thibaw now emerge from the shadows in a country experiencing seismic change. 'A must-see film for anyone who wants to understand Burma today' - Levison Wood, bestselling author, explorer and film-maker. Tickets available here. February 10, 2018 - It’s just been announced that the South Korean author Han Kang has been long-listed for the Wellcome Book Prize 2018 for The White Book, translated by Deborah Smith. 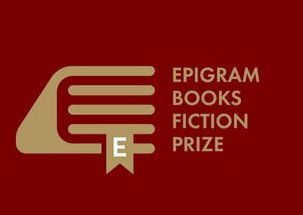 The Wellcome Book Prize is a unique showcase of fiction and non-fiction works engaging with topics of health, medicine and illness, and this year’s long-list of twelve titles has been chosen by a judging panel chaired by artist and writer Edmund de Waal. 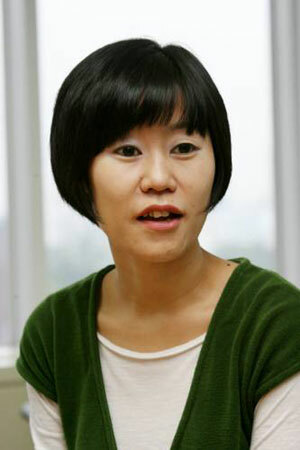 Han Kang, based in Seoul, is author of Human Acts and The Vegetarian, which won the Man Booker International Prize in 2016 for Kang and her translator, Deborah Smith. The White Book is a stunning meditation on the colour white, about mourning, rebirth and the tenacity of the human spirit. Part novel, part poem and part autobiography, the book addresses the life and death of a new-born sister and an exploration of how language can transcend pain. 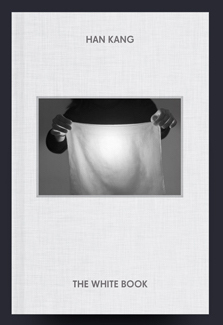 Meditating on the significance of the colour white, the book captures deeply personal memories and connections to surrounding white objects, unfolding into a powerful poetic distillation. What Korean books does Han Kang recommend? See her list and read some of her favourite authors in the ALR. December 29, 2017 - Asia Literary Review editors Martin Alexander and Phillip Kim feature in a China Daily article, Letters from Hong Kong, looking at Hong Kong literature and translation. 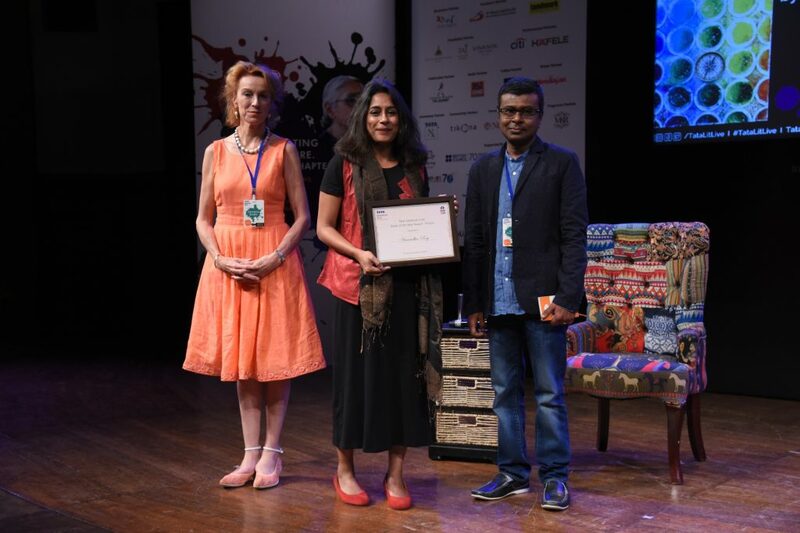 November 18, 2017 - Anuk Arudpragasam, author of The Story of a Brief Marriage, was annnounced as the winner of the DSC Prize for South Asian Literature 2017 by the Jury Chair Ritu Menon along with the other jury members at the Dhaka Lit Fest, Bangladesh. Lauded by the judges for his 'meditative, nuanced and powerful prose', and heralded as 'an extraordinary new literary voice', Anuk is the recipient of the DSC Prize trophy and an award of US$25,000. In this essay competition, to be judged by a panel of academics and professional editors, each an expert on contemporary Korean literature, we invite readers of Kim's work to respond to three key stories published in issues 30 and 34 of the Asia Literary Review: 'The Youngest Parents With the Oldest Child', 'A Dignified Existence' and 'Where Would You Like to Go?'. Visit the competition page for full details. November 8 2017 at Asia House in London – Myanmar: Hidden Voices Revealed, chaired by the ALR’s Phillip Kim. 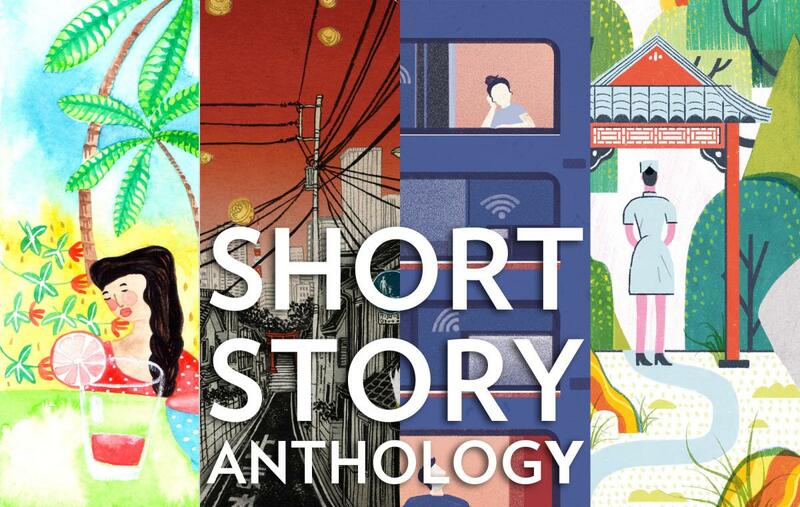 This event showcases an anthology of short stories by local Burmese writers that goes behind the news headlines, and examines life and conflict at the personal level in a complex, evolving country. 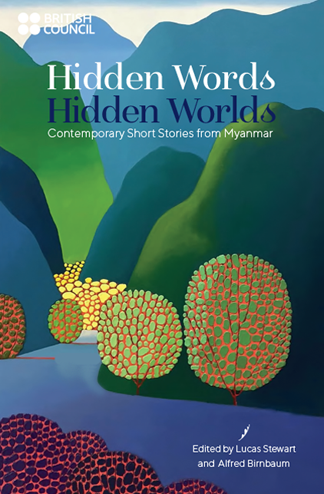 Coming soon in ALR34 - an interview with Lucas Stewart, editor of 'Hidden Words, Hidden Worlds'. and four stories from the collection. The Lee Foundation and Mapletree Investments have stepped in to fund this wonderful competition, whose winner will receive the top prize of $25,000. September 25 2017 - ALR contributor Raelee Chapman is a volunteer facilitator for Writing Through, an organisation that teaches creative writing workshops to at-risk populations in Cambodia and Singapore, with trainings held once a year in Singapore. Interested in volunteering? Follow the link above and watch the video for more. 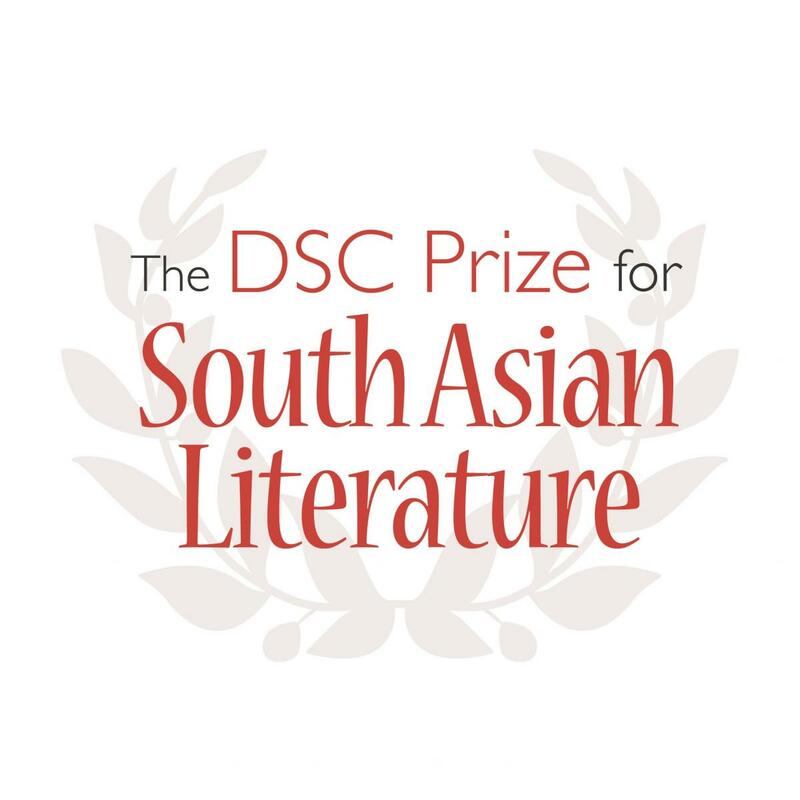 August 10 2017 - Longlist announced for the DSC Prize for South Asian Literature. 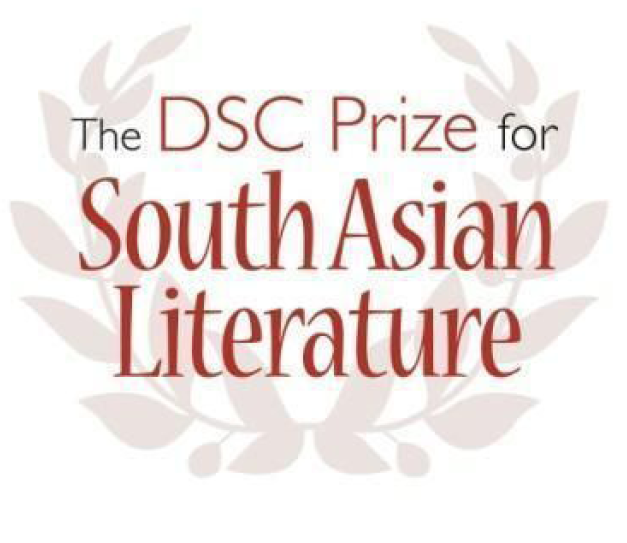 The much-anticipated longlist for the US $25,000 DSC Prize for South Asian Literature 2017 was announced today by eminent feminist writer and publisher Ritu Menon, who is the chair of the jury panel for the distinguished prize. The longlist of 13 novels, which was unveiled at the Oxford Bookstore in New Delhi, represents a diverse mix of established writers and debut novelists from different backgrounds and geographies. It includes 7 Indian writers, 3 Pakistani writers, 2 Sri Lankan writers and 1 American writer based in India. An interesting facet which emerges is the intertwining of South Asian life with the global landscape as the novels seamlessly move across multiple characters, settings and geographies. Click here for full details. July 27 2017 - the Man Booker longlist includes Exit West by Mohsin Hamid, Arundati Roy's The Ministry of Utmost Happiness and Home Fire, from Kamila Shamsie. Follow the link for more. Shortlist on 13 September, with the final winner to be announced on 17 October. For more, click on the link above. 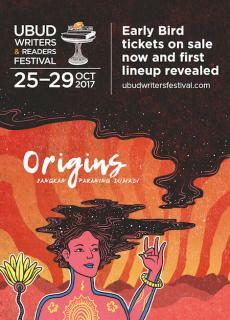 July 17 2017 - Ubud 2017 Writers and Readers Festival discounted early-bird tickets are now on sale. Time to sign up and buy! 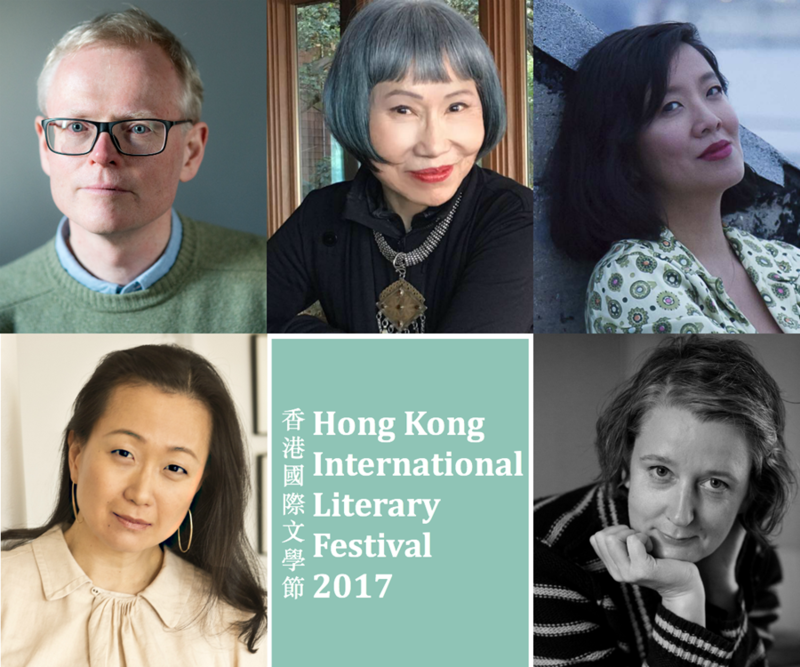 July 14 2017 — The Hong Kong International Literary Festival (HKILF) today announces Amy Tan as a headliner of the seventeenth edition of its annual Festival, which will take place from 3 to 12 November 2017. A definitive Asian-American literary voice, Amy Tan is the award-winning author of The Joy Luck Club, The Kitchen God’s Wife, The Hundred Secret Senses, The Bonesetter’s Daughter, Saving Fish from Drowning and Valley of Amazement, all of which are New York Times bestsellers. Joining the line-up is journalist Ian Johnson, who won the Pulitzer Prize in 2001 for his coverage of China. His new book, The Souls of China: The Return of Religion after Mao, explores the resurgence of religion and value systems in China. British author Claire Fuller, winner of the 2015 Desmond Elliott Prize with Our Endless Numbered Days, is also confirmed to attend. HKILF is thrilled to showcase Korean-American bestselling writer Min Jin Lee. Her latest novel, Pachinko, chronicles the four-generation saga of a Korean family in Japan and is the recipient of praise from numerous media outlets and bestselling authors including Junot Díaz, who describes the book as “a powerful meditation on what immigrants sacrifice to achieve a home in the world.” Novelist Jade Chang will be making an appearance with her hilarious debut The Wangs vs. the World, which is listed as a New York Times Editor’s Choice and one of the best books of 2016 by Buzzfeed, NPR, Elle, Amazon and others. 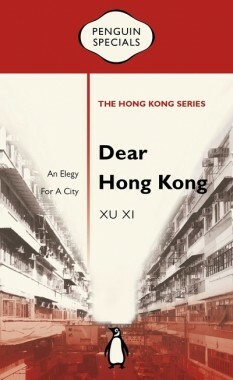 July 13 2017 - A compelling new book from Xu Xi, Dear Hong Kong - An Elegy for A City, will be launched at Asia Society in Hong Kong on 13 July 2017 from 6:30 to 8:00. 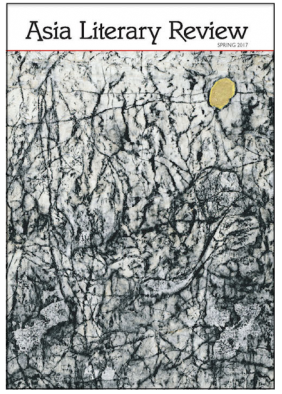 Xu Xi has lived between Hong Kong and New York for over forty years. During this evening program, Xu Xi will read from her new memoir and most recently published novel, and talk about the challenges for a writer who is a transnational from Asia. Xu Xi will be available for a book signing after the discussion. Book your ticket here. To read more about Xu Xi, click on her name, and here to read our interview with her on her 2016 novel, That Man in Our Lives. July 1 2017 - Fabulous fiction takes off in Cathay Dragon's Silkroad inflight magazine, with new stories from David Mitchell, Lijia Zhang, Nury Vittachi and Manu Joseph. And you don't need to buy a plane ticket - read the Silkroad anthology now, here. 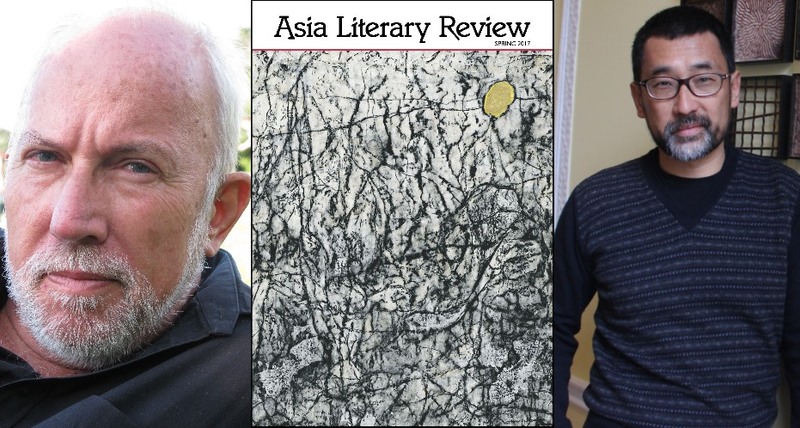 For more on David Mitchell in the ALR, read James Kidd's interview with him in Asia Literary Review No. 20, Summer 2011: Japan. 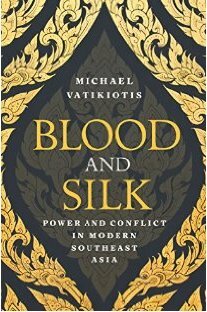 June 9 2017 - Michael Vatikiotis' powerful new book, Blood and Silk: Power and Conflict in Modern Southeast Asia (Weidenfeld & Nicolson) will be launched at the Frontline Club, 13 Norfolk Place, London W2 1QJ on 9 June at 6:30pm. 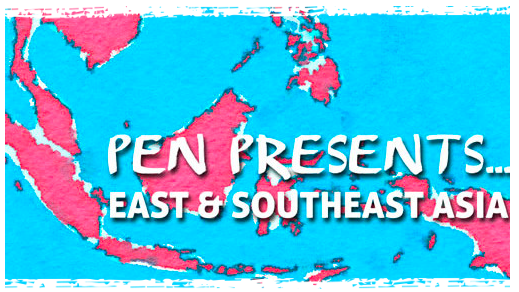 RSVP to Kelly Falconer at Asia Literary Agency. June 8 2017 - In association with English PEN's PEN Presents, the Asia Literary Review invited translators to submit translations of books from East and Southeast Asia for publication in ALR33, the Spring 2017 issue of the Asia Literary Review. The finalists, Sophie Bowman, Natascha Bruce, Pingta Ku, Laurel Taylor, Tiffany Tsao and Jason Woodruff pitched their finished work at an event at the Free Word Centre in London on 8 June 2017 (6:30 - 8:00) before a panel of expert judges: Deborah Smith (Tilted Axis Press), Ka Bradley (Granta) and Euan Monaghan (Structo Press). June 6 2017 - The last event in Asia House's Sin Cities series, 'In the Mix' in Manila, examines the Philippines' drug trade. 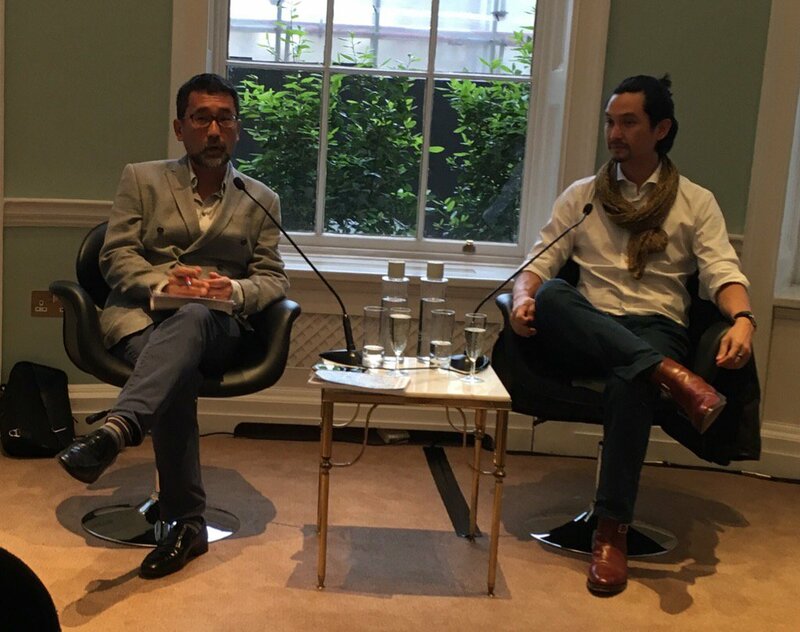 The Asia Literary Review's Phillip Kim talks to award-winning writer and commentator Miguel Syjuco at Asia House in London on June 6 2017. Follow the link for tickets - the discussion is guaranteed to be passionate, political and provocative. Don't miss it! And if you did, console yourself with Syjuco's 'Beating Dickheads'. May 20 2017 - Asia Literary Review No. 33, Spring 2017 is out now. May 10 2017 - The Empire Writes Back - Our Poetry Editor, Kavita A. Jindal chairs a discussion at London's Asia House on 10 May 2017. April 10 2017 - The Rise of Translated Fiction from Asia - Ahead of the 2017 Asia House Bagri Foundation Literature Festival, Literature Programme Manager Hande Eagle interviewed the ALR’s Managing Editor Phillip Kim and Editor-in-Chief Martin Alexander about the ALR, the importance of translation, and their latest issue. December 15 2016 - Asia Literary Review No. 32, Winter 2016, is out now.